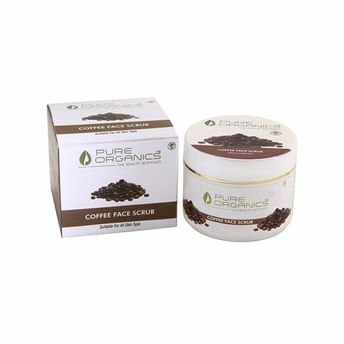 Pure Organics Coffee Scrub offers a range of skin benefits, including better skin texture and circulation along with cellulite reduction. Coffee is known for its skin tightening and rejuvenating properties. This gentle face scrub is enriched with Orange Oil that lightens the skin and exfoliate and moisturizes brilliantly.